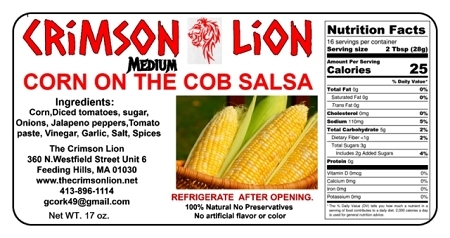 Our Corn On The Cob Salsa remains a very popular gourmet salsa. It is one of our best sellers at the craft booth and on line. The taste of corn mixed with diced tomatoes, onions, garlic, peppers, is out of this world. Try it and you will be sure to love it as well. Black Bean Salsa -16 oz. The "Original" Godfather Of Salsa-16 oz. Garlic Lovers Salsa- 16 oz.